Clip-clop, clip-clop, click, clang, clunk, goes the sound of your clothes dryer. 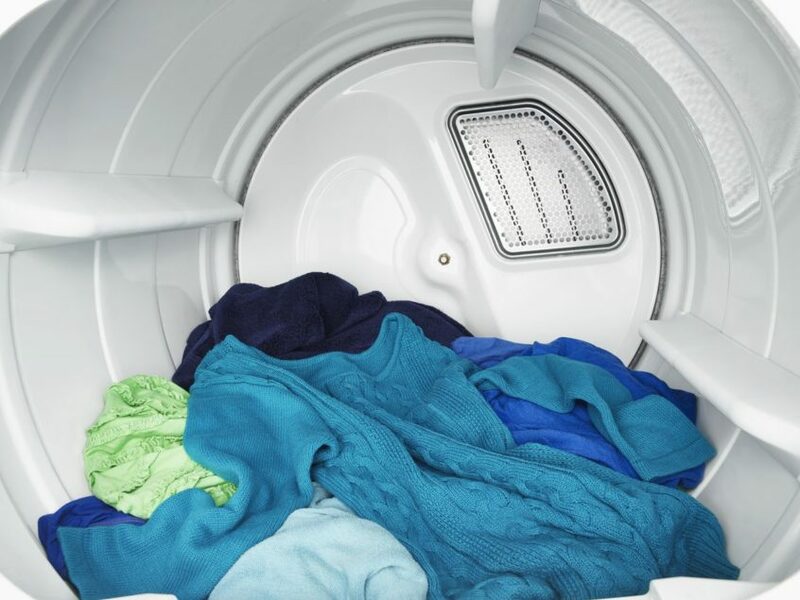 Lately, your dryer is producing some incredible sounds that you have never heard before. Your clothes are coming out dry, but the sounds are growing louder and louder with each drying session. It’s time to take a look and see if you can do something about it. This is going to be a fun and rewarding repair experience as you will get to see the inner workings of your dryer and have a greater appreciation for how your dryer operates. The tools you will need to perform this repair are a ¼ inch nut driver and a putty knife. This repair will be carried out on a Maytag model # PYE2300AYW. Whether it is a Maytag or a Whirlpool brand, the mechanics of this repair will be similar enough to guide you through the process on most similar machines. Turn the dryer on and listen for the rubbing noises. Also, determine if the dryer is heating up. If it’s not heating up, click here for possible reasons why. For the sake of safety, unplug the dryer from its power source and while doing this repair, be careful of sharp edges. Slide a putty knife between the top edge and the door to disengage the clips that hold the top to the cabinet. Remove two ¼ inch bolts that hold the door to the cabinet. Disengage any wire clips or wire harnesses from the door switch. Remove the door and set aside. Inspect the felt strip that surrounds the inner part of the door. Plan on replacing this part if it is worn. To confirm, examine the drum for rub marks. Reach under the drum to locate the idler pulley. Push or pull it to the right and remove the belt from the idler pulley and the motor pulley. Carefully remove the drum from the cabinet. Remove the belt from the drum and inspect for wear and tear. Inspect the two rollers to the rear of the cabinet ensuring they spin freely and show no evidence of wear and tear. Inspect the idler and motor pulleys. Do they spin freely? Move the blower wheel to ensure it securely in place. Inspect the glides the drum sits on and if they are worn, they will need to be replaced. For information on how to order any parts, you might need, click the following link: Maytag Dryer Model PYE2300AYW Parts. If you need further help with this or any other appliance repair, contact us with your query and we will be happy to assist you.